Mike Snody's custom High Roller is a rather impressive balisong. It features milled channel-construction 6Al4V titanium handles and a flip-friendly latch-less design. 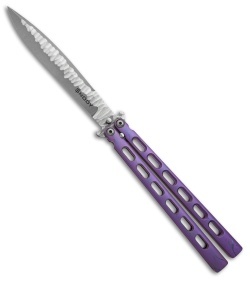 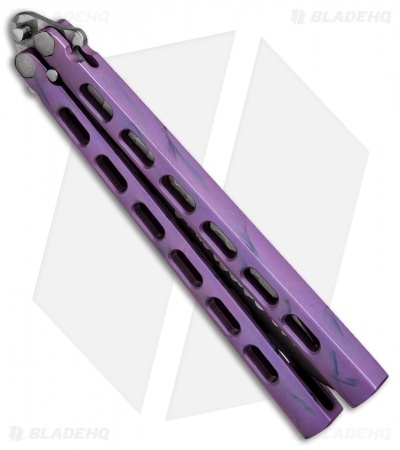 This custom one-of-a-kind High Roller features electric magenta anodized handles, and the blade has stone textured flats. It comes new from maker and includes a certificate of authenticity, dated 7-25-16.